Bresha Meadows, a 16-year-old from Ohio, is free after 18 months of incarceration in a juvenile corrections facility and a mental health hospital. Meadows became a national symbol in the fight against child abuse when she shot her father, 41-year-old Jonathan Meadows, on July 28, 2016. Bresha, 14 years old at the time, had survived and witnessed her father inflicting years of abuse on her mother, herself, and her two siblings according to her attorney. Finally, fearing that he would kill one or all of them, Bresha shot him in the head while he slept. “She had to take matters into her own hands believing that if she didn’t stop her father, it was just going to get worse and eventually somebody was going to die,” her lawyer, Ian Friedman, told the New York Times. Friedman called Bresha’s life with her father an “unimaginable nightmare” she “saw and experienced on a daily basis,” the Vindicator reports. According to TeenVogue, Bresha’s mother, Brandi, called her daughter a hero. Both she and her daughter say they feared Jonathan Meadows would eventually kill them. “It was the only way that she could defend her family from the man who abused them. He was well over 200 pounds, and she was a 14-year-old girl,” lawyer Ian Friedman told the Plain Dealer. In 2011, Brandi filed a protective order against her husband, Huffington Post reports. In it, she wrote, “In the 17 years of our marriage he has cut me, broke my ribs, fingers, the blood vessels in my hand, my mouth, blackened my eyes. I believe my nose was broken. A few years later she rescinded the order and tried to reconcile with her husband, but according to mother and daughter, the abuse was unrelenting. 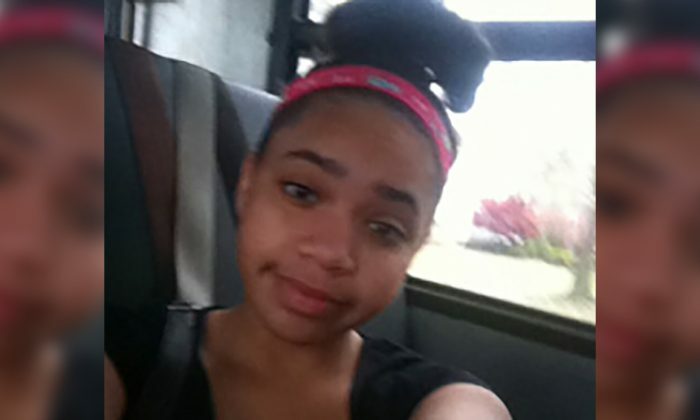 Huffington Post reports that several people close to the family told reporters that they believed Jonathon Meadows might have sexually abused Bresha. Bresha ran away from home twice, in January 2015 and then in May 2016, just several weeks before the killing. In both cases she was turned over to child protective services, who returned her to her home, the New York Times reported. On July 28, 2016, Bresha decided she had to take drastic action. She took her father’s .45 caliber automatic pistol, the same pistol she claimed he used to threaten his family, and shot her sleeping father in the head, Rewire reports. Bresha’s case ignited a firestorm of sympathetic responses, including the formation of the #FreeBresha movement, which lobbied hard to get the troubled teen out of prison and into a stable home. While in juvenile jail, Bresha was diagnosed with PTSD and depression. Supporters claimed she did not receive the amount or quality of care she deserved, that she was being treated as a criminal, not a victim. A GoFundMe page raised more than $155,000 to pay for appeals, lobbying, legal opinions, and treatment. Campaigns like #FreeBresha pointed out that a high percentage of children in juvenile detention have been sexually or physically abused, and that while there, they get worse, not better. Eventually, Bresha was transferred to a mental health facility where her family, helped by the GoFundMe campaign, were able to get her the treatment they say she needed. Not everyone sees Bresha as a hero or a victim. Lena Cooper, the sister of Jonathan Meadows, says that there was no self-defense—her brother was shot to death in his sleep. Cooper said there had been abuse in the past, but claimed that all the abuse had ended years prior. Cooper also questions why the gun that killed her brother had his DNA on it, and the DNA of another family member, but not Bresha’s. “It is very hard for my family because true justice has not been served,” Cooper told the Tribune Chronicle. After more than 18 months in cells and locked wards and courtrooms, Bresha is returning home. Bresha will be on probation for the next two years. During that time, she will live at home—though there is no public notice of where that home will be—and will attend school in her new neighborhood. She had been in the gifted students’ program in the school she attended in Warren, Ohio, before her arrest. Now she will be starting high school, the Plain Dealer reports.